That green day of the year is coming up soon, and when you think of green you should think of two things. Money and St. Patrick’s Day. 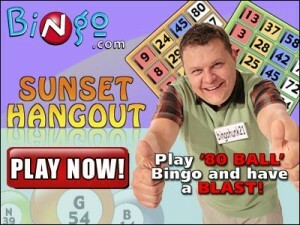 Well the right site to celebrate green in a big way this year is at Bingo.com. They will be having a new bingo room that will be opened for this holiday, called Lucky Charms. And not only that but if you get bingo within 32 numbers, you can pull in a wonderful amount of cash, 10,000 GBP! This new 90 ball room is set to have 20 games each day and each will be worth 100 GBP. But when you get to ten pm and after London time you have a prize that is doubled. Plus on Thursdays and Fridays you can win a jackpot that is worth 500 GBP. All of this will be offered to those players at Bingo.com and in that Lucky Charms room. One statement from the people at Bingo.com has to make you wonder if this is the time where the luck of the Irish really comes through. Stating that each year this time of the year sees more people who are Irish win. You can get tickets ahead of time for these games too. Plus remember that with a new account you will get a 250 percent bonus not just on you’re first but all three deposits that you make on your account in the amount of at least 10 pounds. So whether you are Irish or not, head over and enjoy this new bingo room that will be opening at Bingo.com and try your luck for all that green money. Also if you make deposits on Friday and Saturday they will be giving you an extra 150 percent match.